William Blake's The Four Zoas is one of the most challenging poems in the English language, and one of the most profound. It is also one of the least read of the major poetic narratives of the Romantic period. Spiritual History presents a much-needed introduction to the poem, although it will also be of great interest to those already familiar with it. This is the first full-length study to examine in detail Blake's numerous manuscript revisions of the poem. It offers a staged reading, one that moves, as Blake himself moved, from simpler to more complex forms of writing. Andrew Lincoln reads the poem in the light of two competing views of history: the biblical, which places history within the framework of Fall and Judgement, and that of the Enlightenment, which sees history as progress from primitive life to civil order. 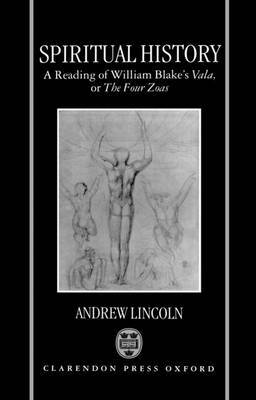 In so doing, he offers an account of the narrative that is more coherent - and accessible - than much previous criticism of the work, and Blake's much misunderstood poem emerges as the most extraordinary product of the eighteenth-century tradition of philosophical history.